handing out in the printed version. at Roberts Gallery in Toronto in July. So exciting. And you know my story. and a busy time in the this artist's life. Labels: art opening. Wychwood Barns Toronto. 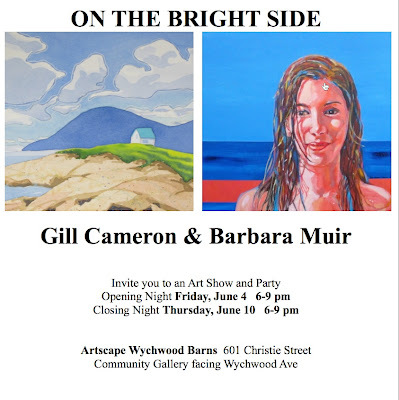 Gill Cameron and Barbara Muir.. watercolours and acrylic paintings on canvas. 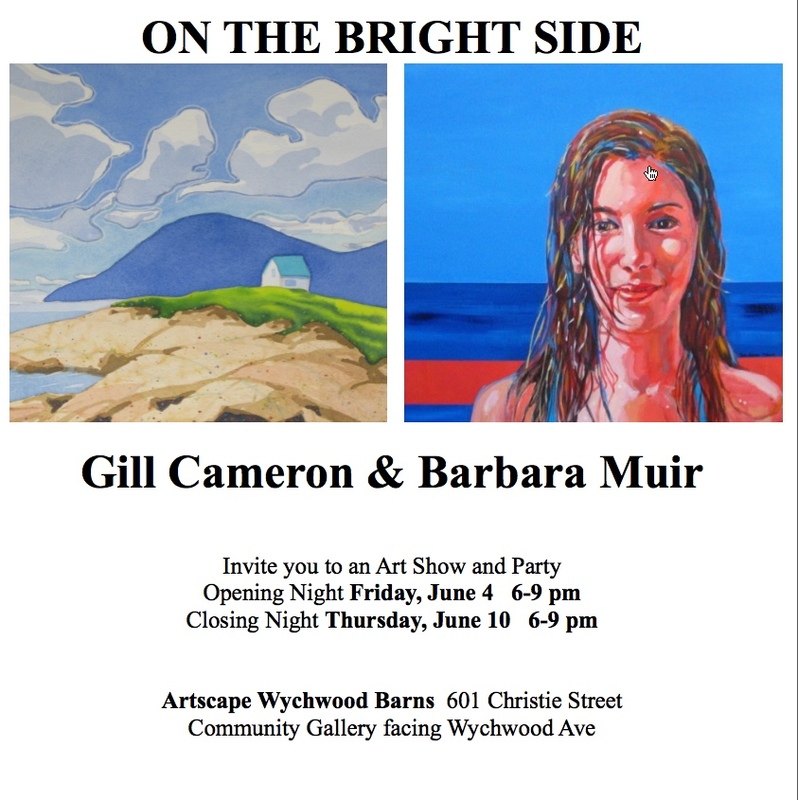 Congratulations on the opening, Barbara! Wishing you a successful show! It looks wonderful. Thanks so much. I'm sure we'll have fun. It would be very cool to be there to see your show. Good luck! We wish you all the best. Best wishes, Barbara! You're gonna have a great time, I'm sure. It would be so incredibly cool to meet you. Thank you. I always enjoy having a show, once the preparation is done and the people are there. I'm going to do what Alyson Stanfield says this time, and follow through on every last detail. You would walk in the door, and that would be the end of it. I'd forget what I was doing. Best you stay put so I can cogitate and mind my manners in a public forum. You do so make me laugh. Oh my goodness, I wish I could be there. What a thrill that would be... to meet you and see your work in person. I hope it is hugely successful! It would be amazing to meet you. Sometimes I run these scenes in my head and I see a lot of screaming and laughing and I know it would be so much fun.